Uber has had its fair share of troubles in its efforts to put self-driving cabs on the road, but before it tackles them all, it’s moving into new territory: building autonomous electric scooters and bicycles for its fleet of on-demand vehicles. According to TechCrunch, California-based 3D Robotics’ CEO Chris Anderson revealed Uber‘s plans to add self-driving capabilities to two-wheelers over the weekend. The Telegraph reported that the ride-hailing company is hiring engineers for this new department. The team will reportedly work within Uber Jump, the company’s electric bicycle division. 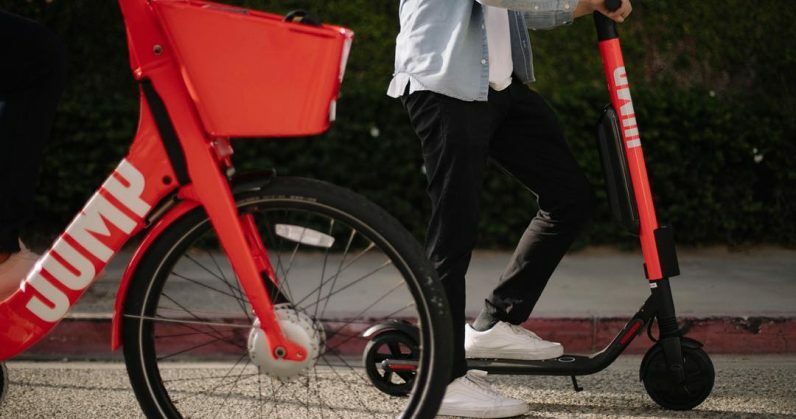 It was formed last April, after Uber acquired Jump’s on-demand bike operations following a trial service the two firms collaborated on. That could be good for commuters who want to save on cab rides, cities that are frequently congested with car traffic, and for ride-sharing companies that want to avoid the fate of fallen dockless bicycle rental services like Ofo. Bikes and scooters are great because they’re compact and don’t need a lot of power – but we’ve seen that shared ones can be a nuisance for cities that want to keep their sidewalks tidy, and for companies that want to ensure they’re charged and available at popular pickup locations (as opposed to wherever riders decide to leave them when they’re done). Add self-driving smarts to their circuitry, and the two-wheelers can not only offer easier rides, but also navigate back to garages where they can be charged and sent back to pickup points in an orderly fashion. That’s proved tricky for Bird – which offers electric scooters in a number of cities across the US, and has recently expanded to Europe – to the point that it gave rise to a parallel workforce of ‘Bird hunters.’ In a story published last May, The Atlantic’s Taylor Lorenz described how people signed up with the company to drive around town, picking up the scooters in trucks to bring them back to a charging facility so they could be juiced up and made available to riders again. Uber has already tackled a small part of this puzzle by introducing support for swappable batteries in its Jump bikes, which allows the company to cut charging time down to nearly nothing. But it’ll have its work cut out for it in developing reliable self-driving tech to ensure these two-wheelers can safely make it back to a garage without affecting traffic. If this venture pans out, it could potentially reshape the conversation around mobility services ahead of the self-driving car revolution.